Well, I wasn’t feeling as inspired as I’d hoped, and today’s painting required a lot more digital editing/effects than usual after I scanned it. But, although it ended up being kind of random, I quite like how today’s painting turned out. First of all, happy leap year everyone 🙂 Did you know that, in France, there’s actually a magazine that is only published on the 29th February? Anyway, this site updates far more regularly than that, which brings me on to today’s post. Well, today’s digitally-edited painting was kind of a random practice painting since I wanted to practice painting realistic reflections. Although this is an article about learning more about yourself, I’m going to have to start by talking about myself for a few paragraphs. There’s a good reason for this that I hope will become obvious later. Anyway, when it comes to both art and writing, one of the things that I have learnt about myself is that I tend to work best when my art and/or writing includes a high level of either visual and/or emotional intensity. When I make art, I tend to feel at my best when my art contains bold contrasts between light and darkness. I tend to work best when my art has an underlying gloom, which allows the central parts of the picture to stand out even more by comparison. After I scan my art, I usually digitally decrease the brightness levels and increase the contrast levels, to give my paintings a “vivid” look. Likewise, I also enjoy producing striking black & white drawings, which require a heavy amount of contrast between lighter and darker areas in order to really stand out. When it comes to writing, I’ve found that I tend to do my best work when my fiction is related to “emotional” genres like the comedy genre or the horror genre. 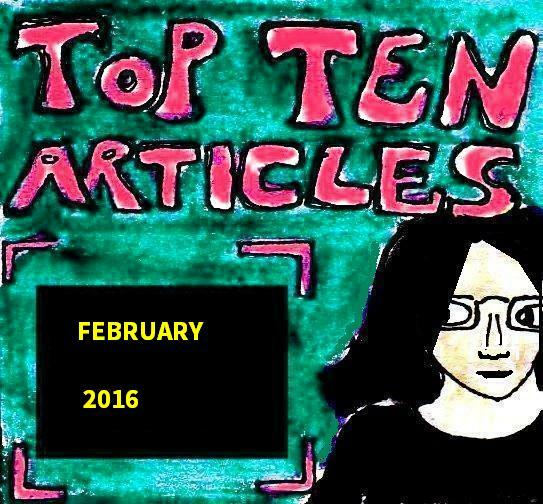 These are genres that are designed to provoke an intense emotional reaction in the reader. Interestingly, these genres share a lot of features with each other – from the impish feeling of inventiveness that is needed to come up with good story ideas, to the fact that all of these genres rely on anticipation or suspense (eg: they all use similar types of pacing), to the heavy focus on clever and dramatic descriptions. Most of my writings that have “pretty much written themselves” have been in at least one of these emotionally-intense genres – for example, my interactive story from last October, includes both comedy and horror. By learning all of this, I’m able to produce better and more distinctive work by playing to my strengths. But, how did I learn all of this and, more importantly, how can you learn more about yourself as a writer and an artist? There are several ways to do this. The simplest and most obvious way to learn these kinds of things is just through experience and a lot of practice. If you write a lot or make art regularly, then you’ll eventually learn what works for you and what doesn’t. For example, thanks to lots of practice with making comics, I now know that I tend to produce my best comics if I spend no more than a week on a comics project and if I use black & white artwork for narrative comics and colour artwork for “newspaper comic”-style webcomics. Likewise, from countless failed attempts at writing novels when I was teenager, I’ve learnt that I tend to do my best writing when I’m writing either short stories and/or novella-length fiction. You’ll be amazed at how much you can learn through simple experience and failure. Another way to work out more about yourself is just to follow your feelings and your instincts. 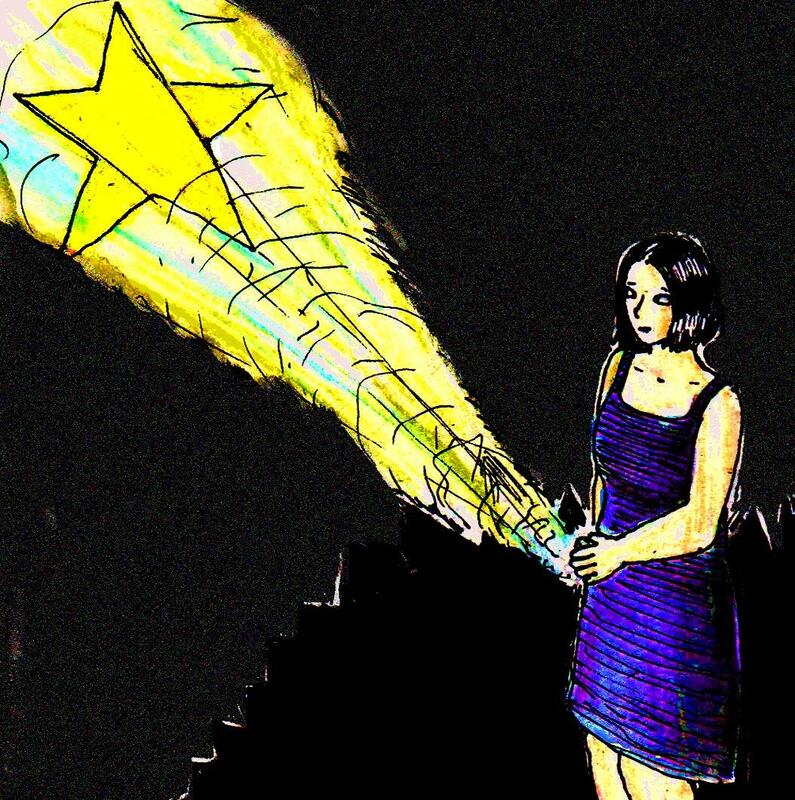 If you’re fascinated by a particular type of fiction or art, then try to make some of it yourself and see how it feels. If the experience doesn’t feel as great as you expected, then either move on to something else or try adding something from another genre that you like. However, if the experience feels more like fun than work, then you’ve learnt something about yourself. Finally, if you really don’t know that much about yourself creatively, then just take a look at your favourite things. You’d be surprised at how much you can learn about your artistic and/or literary sensibilities just from looking at the things that you really love. Although most artists and writers don’t really understand all of their influences until after they’ve been influenced, you’d be surprised at how much you can learn about yourself from just looking at the things that have the most impact on you. 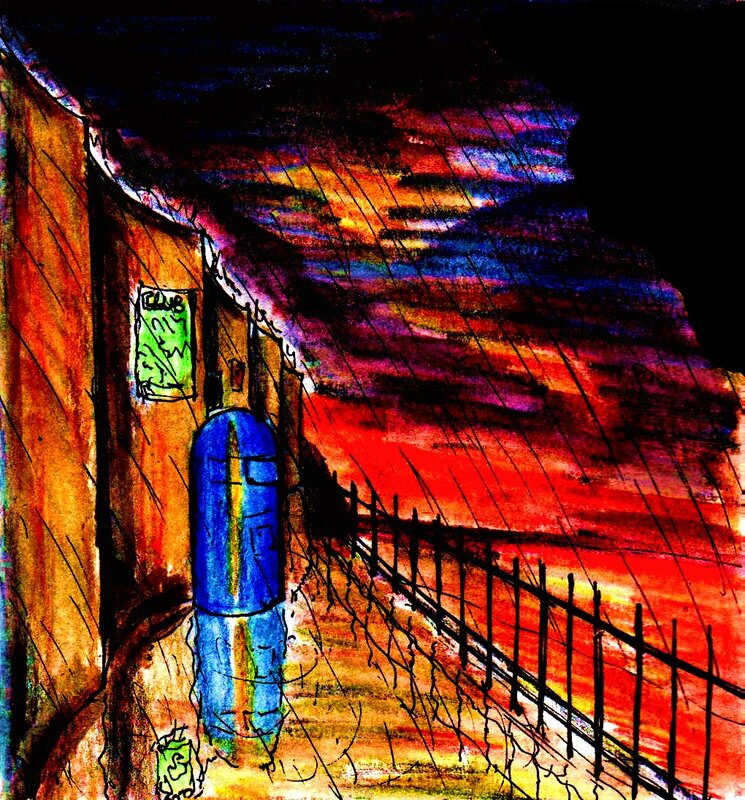 For example, the largest influences on my high-contrast art style include cool things that I loved when I was a teenager (and still do) such as the movie “Blade Runner” (with it’s gloomy settings and neon-lit streets) to Derek Riggs’ excellent cover artwork for many of Iron Maiden’s albums. These were things that I loved long before I really considered myself to be an artist and it’s only within the past couple of years that I’ve realised just how much of an influence they’ve had on my art. Likewise, the influences on my writing include things like the ultra-gruesome second-hand 1970s-90s splatterpunk novels that I eagerly read when I was a teenager, to the William Gibson cyberpunk novels (which use a very intense and fast-paced narrative style) that I enjoyed during my late teens and early twenties. 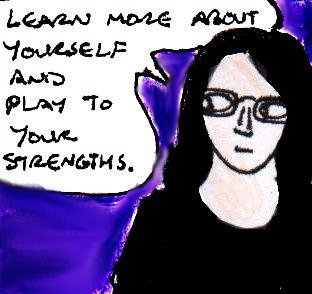 These are just a few of the ways that you can learn more about yourself as a writer and an artist, but if you want to produce things that both you and other people think are cool, then you’re going to have to learn where your strengths lie. Well, I seem to be turning into a perfectionist. I’d originally made another painting for today, but it was a slightly generic (and kind of dull) landscape, so I put it to one side and decided to make a companion painting for yesterday’s painting. 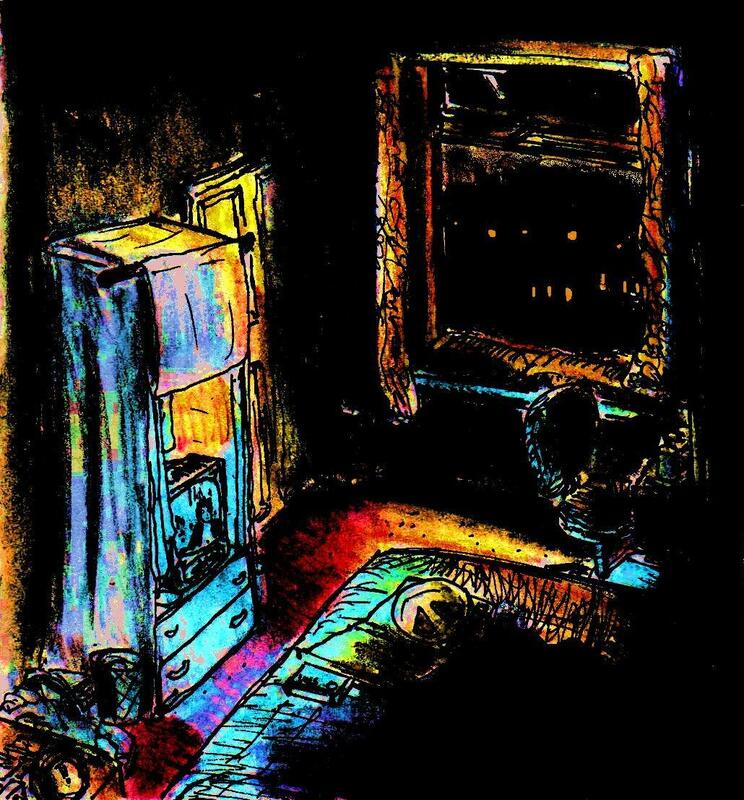 Basically, this is a (fairly heavily) digitally-edited painting in a similar style to yesterday’s painting, but based on the room I lived in a few months after the one in yesterday’s painting. Although I seem to make way less fan art than I probably should, I thought that I’d devote this article to explaining several of the reasons why many artists often tend to make art based on TV shows, games, books, movies, celebrities, comics etc… rather than thinking of more “original” ideas for their artwork. Before I go any further, I should probably point out that fan art is something of a grey area (in practice, if not in theory) when it comes to copyright-related issues. I won’t really be discussing this in too much detail here (since I’m not a legal expert), but a good general rule is that you should never sell your fan art. 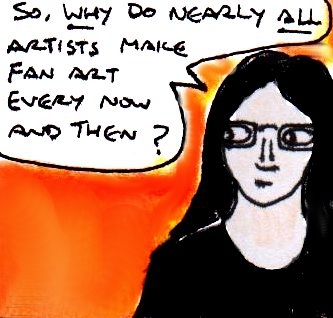 In practice, most large media companies etc… tolerate non-commercial fan art for several reasons. This is because being mean to their most devoted fans isn’t a good business strategy, because fan art can serve as free advertising and because fan art makes existing fans more interested in their movies, games, comics etc…. Likewise, some types of fan art (eg: parodies) may be exempt from copyright rules, depending on where you live. 1) It’s how all artists start out: A day or so before I wrote this article, one of my relatives found something that I’d drawn when I was about twelve. Back then, I didn’t really see myself as an “artist”, although I used to draw little cartoons quite a lot. Anyway, the drawings were of various Pokemon, since I was a Pokemon fan back then. If I cast my mind back, I can think of drawings that I made earlier than this which were based on all sorts of computer and video games that I’d either actually played or had read about in magazines. I’m sure that quite a few other artists did similar kinds of things when they were kids. When you’re younger, it’s more difficult to come up with good “original” ideas for the simple reason that you haven’t really been exposed to enough of the surrounding culture to really come up with great “new” creative ideas. In addition to this, copying other things is also an integral part of the learning process too. All artists learn to make art from copying things. Whether it’s their favourite cartoons, whether it’s old paintings or whether it’s just real life, learning how to make art involves a lot of copying. This is why, for example, I’ve put the word “original” in scare quotes in this article since there are no truly original works of art (since even the most “original” artist has probably learnt techniques etc.. from other artists). 2) Cover versions: Artists often make fan art for pretty much the same reason that musicians often play cover versions of their favourite songs. With a good cover version, a band will usually take one of their favourite songs and produce a new version of it in their own unique musical style. It’s a way of paying tribute to something inspirational, whilst also getting to hear what that song would sound like if they’d come up with it instead. It’s the same with art. When we make fan art based on something that we love, we get to see what our favourite things would look like in our own unique art style. We also get to learn more about the things we love by re-creating them in our own distinctive way. We also get to pay our respects to something that has inspired us, amazed us and/or fascinated us too. 3) Tradition: Artists have been making fan art for a lot longer than you might think. If you look at a lot of famous old European paintings, then many of them will be based on either classical mythology or religious mythology. Since these two things were much more important parts of contemporary culture back then than they are now, artists instinctively wanted to paint them and audiences instinctively wanted to see them. The thing to remember here is that the whole concept of copyright is a relatively recent and counter-intuitive invention. When Shakespeare wrote his plays, he often took pre-existing stories and just put his own twist on them. When musicians played music in the olden days, they just played songs and ballads that were popular at the time. Back then, culture belonged to everyone and it belonged to no-one. This has been the case for most of human history in most of the world. The skill of an artist, writer, actor, musician etc.. was measured in how well they were able to re-create pre-existing things in interesting ways rather than how “original” their ideas were. In a way, modern fan art is just an extension of this ancient and instinctive tradition. 4) Cynicism: If I’m being cynical, then I’d argue that a small proportion of artists can occasionally make fan art for the sole purpose of becoming popular. This can be seen most clearly on a well-known art website called “DeviantART”. I’ve been a member of this site for quite a few years and I’ve noticed a very strange trend. Even the most beautiful, elaborate and creative piece of “original” artwork can often get a lot less views than a simply-drawn piece of fan art based on something popular. In fact, the last time I checked my stats on DeviantART, the most popular picture in my gallery was, by far, a badly-drawn fan art picture that I made for amusement in 2010, rather than any of the much better “original” paintings and drawings that I’ve made in the years since. The reason for this strange phenomena is that audiences often want to look at interesting and cool works of art but, since they don’t really have the time to sift through literally millions of “original” artworks, they’ll often just search for art that’s related to their favourite TV shows, games, comics etc…. It lets you answer your own questions about all of your favourite things for example “What would happen if the characters from two of my favourite TV shows met each other?” etc… Chances are, if you’re asking yourself questions like this, then other people might also be interested in the answers too. In other words, artists make fan art for the same reason that writers write fan fiction and programmers modify computer games. 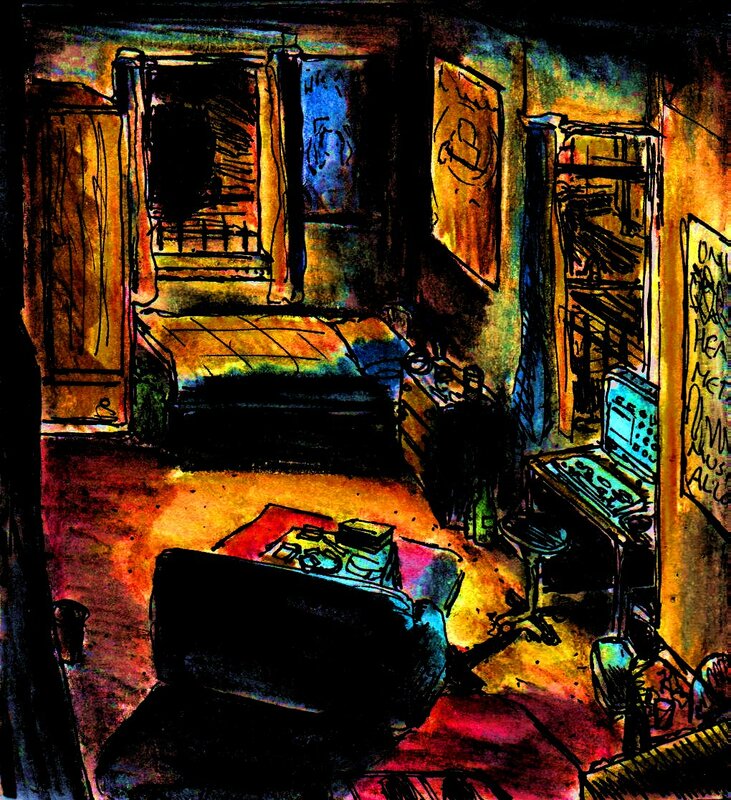 Well, although I was planning to make another gothic painting, I suddenly had a very strong moment of inspiration and decided to make another painting of the room I lived in during one of the best years of my life. This painting required a lot of digital editing/ effects and I still don’t know if I got the gloomy lighting quite right, but I’m quite proud of how it turned out.